Another view of the return bullwheel. 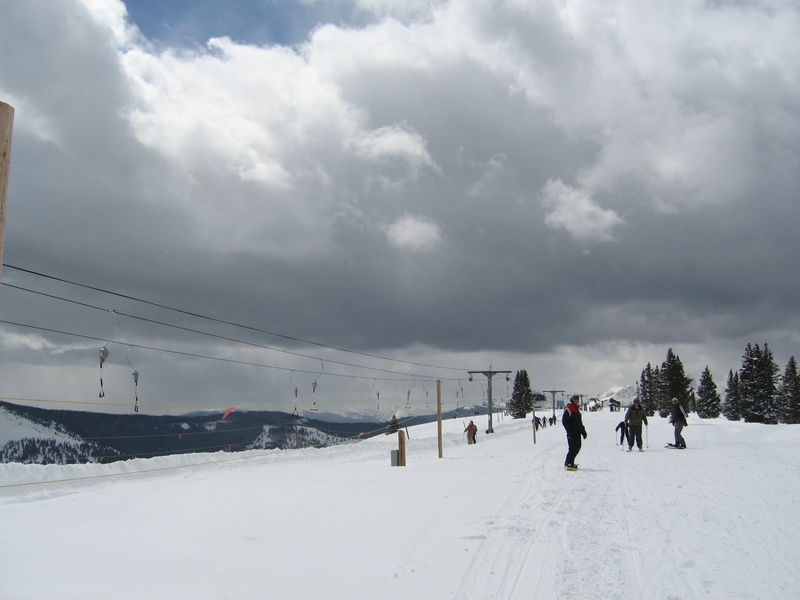 They removed it because of the construction of the Sourdough Express lift, which was realigned so as to negate the tow’s purpose (transferring skiers from the Teacup Express to Two Elk Lodge). 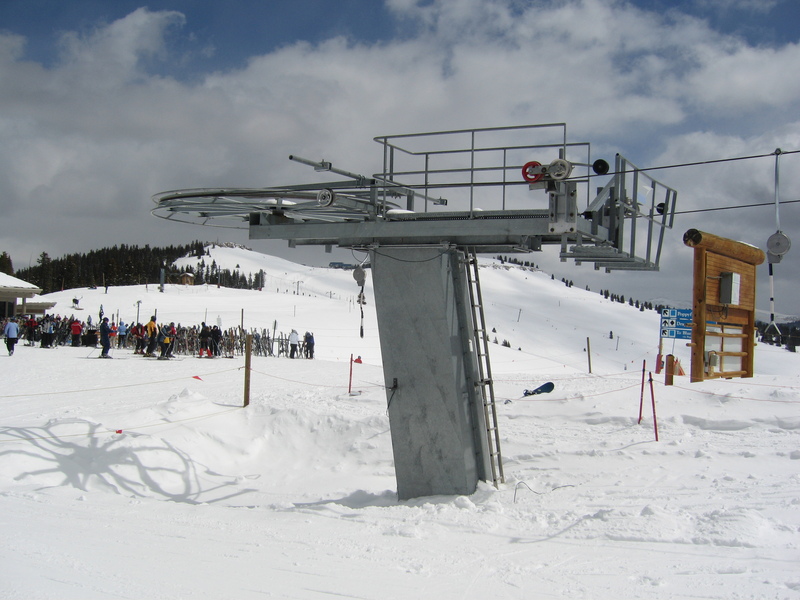 I wish they hadn’t removed this lift. 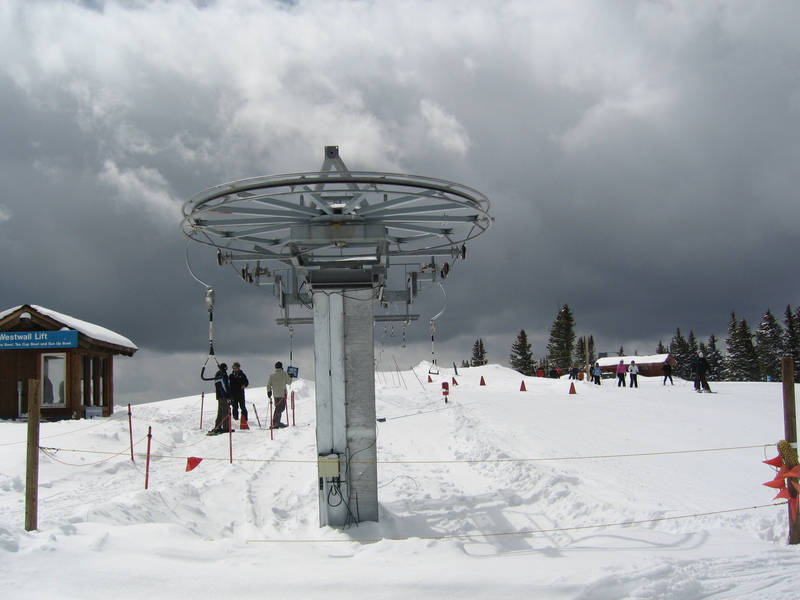 When they replaced Sourdough (triple) with a high speed quad, they changed the alignment so that the top terminal ended at Two Elk, making it no longer necessary for the handle tow, but they also made it much harder to get from the front to the west side of China bowl or down into Tea Cup bowl. 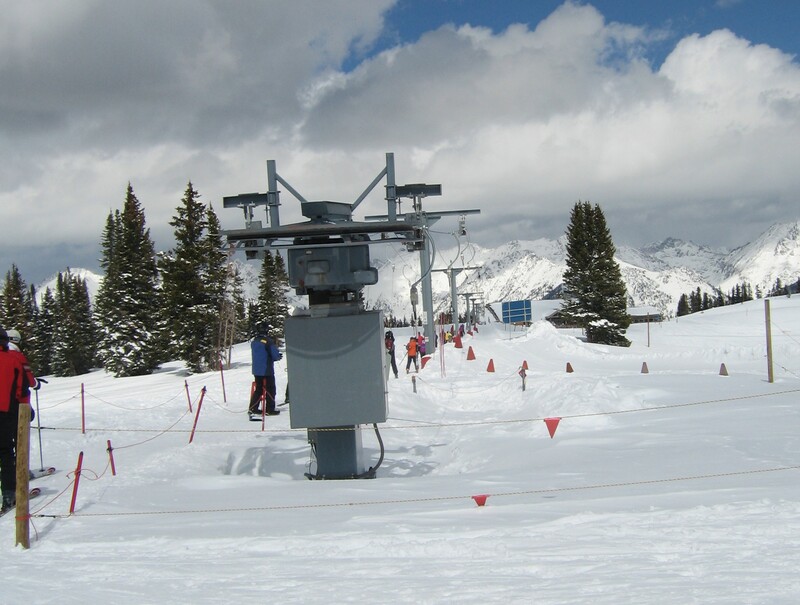 Now the best option to get to those runs is either to hike, what seems like the world’s longest catwalk, or ski down to chair 17 (now chair 9 for some strange reason) which is often a sun baked and wind blown mess.